When is the harvest? Please wait for me! Those were my words when I called Giovanni and Sparta in Puglia this August.When were they going to begin clipping their grapes? It was me, their bagnino! (literal translation: little bath boy). I had worked setting up umbrellas and lounge chairs at their beach establishment, Il Gabbiano in the Gargano, over twenty years ago when Ginny, Sarah and I began to spend summers in Puglia. Since then I have been treated like a member of the family and have always held their land in the hills above the sea, which is surrounded by olive and fruit trees, birds in concert, and spectacular views of the water featuring both the sunrise and sunset, in a place close to my heart. You can still see someone riding a donkey or a young boy walking with his goats. In our early years there, one of my favorite rituals was to search for the perfect clump of grapes first thing in the morning. I was unaware that these grapes were meant for wine, as I had never been present for the harvest. Though Sparta saw me every day with a clump in my hand, she never told me not to eat them. I arrived in late September. I used to drive straight through from Rome to Rodi, being always anxious to get there. By the time I was near Pescara and the Adriatic, I had to stop at every Autogrill for a double espresso. This time I stopped nearby for a night at Le Campestre in Castel Di Sasso, as driving the five hours after the overseas flight is not a great idea anymore! So with some rest, I made my way to my beloved Rodi. I had never participated in a harvest or witnessed the actual production of wine. To do so with Giovanni and Sparta, now 83 and 81 years of age, was very special. The grapes were collected over a period of three days. I cannot tell you the varietal. Though I remember having heard stories about Giovanni stomping grapes with his feet, these were crushed with a small grinder. The crushed grapes and their vines were left in large, open vats to rest for two days. The fermentation process begins quickly. The juice rises in temperature, and you can see tiny bubbles and taste the beginnings of a lambrusco. The hard work followed. Using a wood barrel with a hand crank, the wine-to-be is pressed. Free of skins and vines, it is left a few more days in the open vats before final filtration and bottling. It was a good production for Giovanni and Sparta, 350 liters in all. It felt good to work alongside Giovanni, to be of assistance, and to pretend I was a contadino. The daily rhythm was wonderful. Sadly, my time in Rodi was too short, and leaving is never easy. Before leaving, Giovanni allowed me to interview him on film. I was amazed at how verbal he was, as he is normally a man of few words. Having time with the rest of the family and their friends down on the beach was also special. 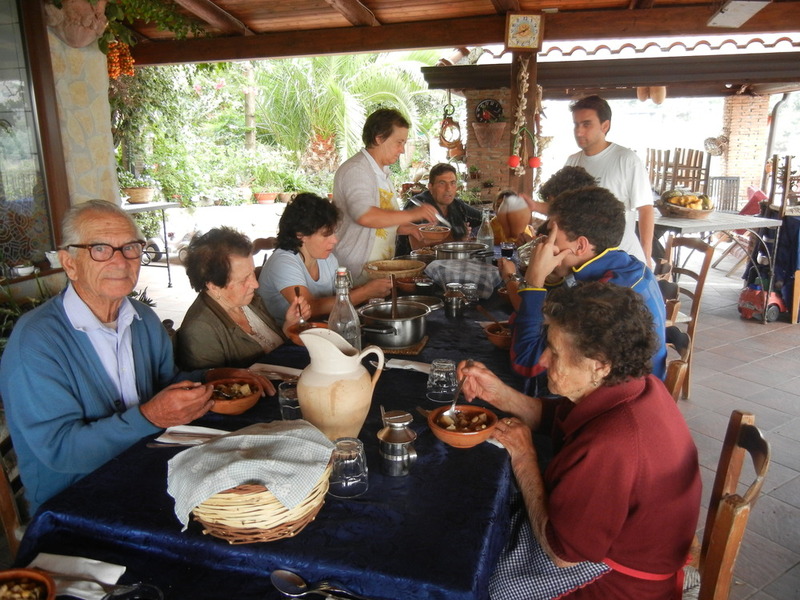 Though they always insisted that I have another meal with them (both lunch and dinner), after having just finished with Giovanni and Sparta up at “the Castello”, it was ok to just have a glass of wine or two, some fruit and a piece of the local cacciocavallo cheese. Before returning to Caiazzo and Castel Di Sasso, I stopped in Solopaca. Years ago I was introduced to a slightly chilled, sparkling red from this area. I thought it would be fun to stop by the local cantina and have a glass. While it would be a perfect wine in summer at Spacca, as would a Gragnano and the Asprinio D’Aversa , unfortunately these wines do not travel well. I arrived in Caiazzo just before dinner on a Saturday evening. 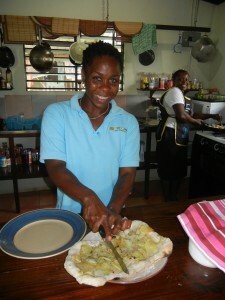 It was great to be in my whites and back in the kitchen with Franco Pepe.It promised to be a busy night and was. The rest of my stay in Italy was nonstop. It all evolved around pizza and wine. The evenings were usually at Antica Osteria Pizzeria Pepe. During the day, I was either picking grapes or going into Naples. 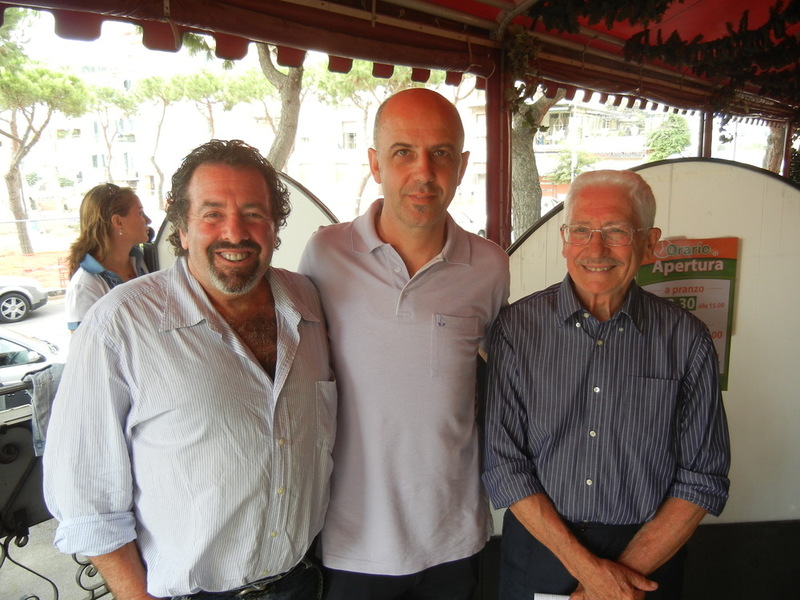 I attended a special luncheon at Pizzeria Salvo for many local well-known pizza makers alongside several important journalists, and was thrilled to meet Professore Antonio Mattozzi, author of a celebrated book chronicling Neapolitan pizzerias and pizza makers of the 18th and 19th centuries. The Mattozzis are considered a dynasty among Neapolitan pizza making families. Their first pizzeria dates back to 1852. Sitting next to a producer of the television program Linea Verde was also a thrill. Linea Verde celebrates all things artisanal, agricultural and gastronomic in Italy. I was quite impressed with Pizzeria Salvo (www.pizzeriasalvo.it). 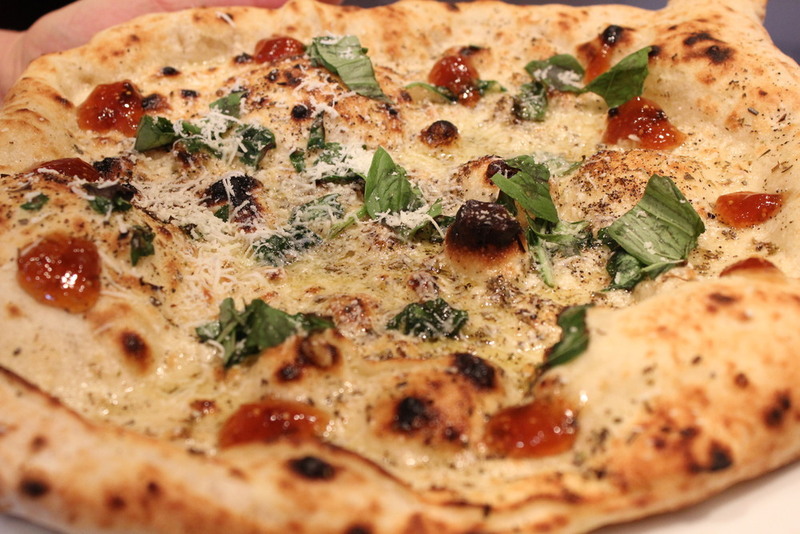 Like Antica Osteria Pizzeria Pepe, Pizzeria Salvo is alsoa third generation pizzeria. Their impasto (pizza dough) involves a long natural levitazione (rise) at ambient room temperature. The dough requires gentle hands resulting in pizza that is “soffici, leggere, morbidisseme e di sappore intenso.” I aspire to make pizza of this same quality; to be like Franco Pepe, Antonio Starita and Roberto Caporuscio. Now I must tell you about two fabulous pizzas. If you have read this blog before you will remember that I studied with Enzo Coccia at la Noticia in 2004. Franco and I went there one day when a few of the managers of Joe Fugere’s Sette Bello (Seattle, Washington) were in Naples for a visit. Enzo presented a pie made with four types of tomato. With each type of tomato, there was a corresponding cheese. Four diverse tastes, four diverse aromas. A true capo lavoro, a Neapolitan masterpiece celebrating local product! The other pie was Franco Pepe’s creation and features sugna (lard), black pepper, oregano, basil, fresh figs and the artisanal cheese conciato romano. It was presented to Don Alfonso and his guests at his world famous, three star Michelin Ristorante Don Alfonso in Sant’ Agata sui due Golfi along the Amalfi coast. Conciato Romanois one of Italy’s oldest cheeses, dating back 2600 years. Made from sheep’s milk, it can be aged up to two years. 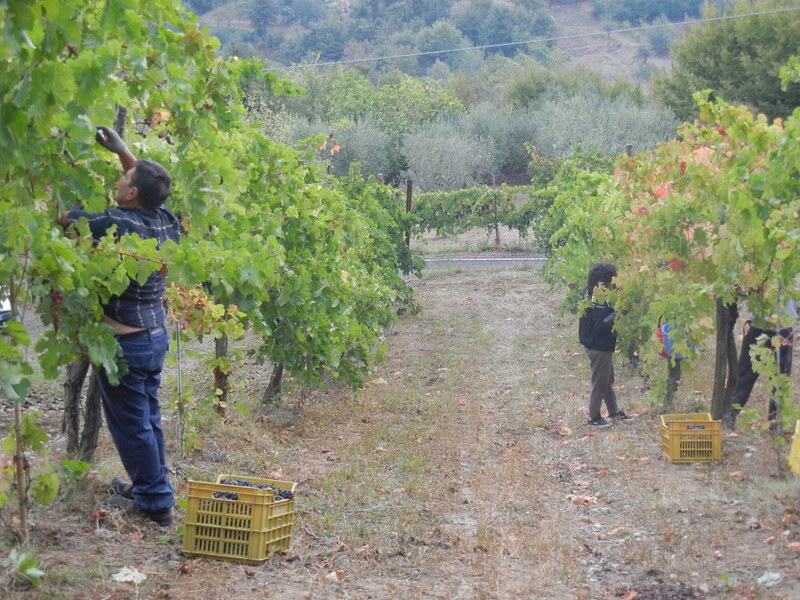 The Lombardi family of Le Campestre in Castel di Sasso is its producer. I participated in two more harvests before returning home. The first was at Le Campestre. 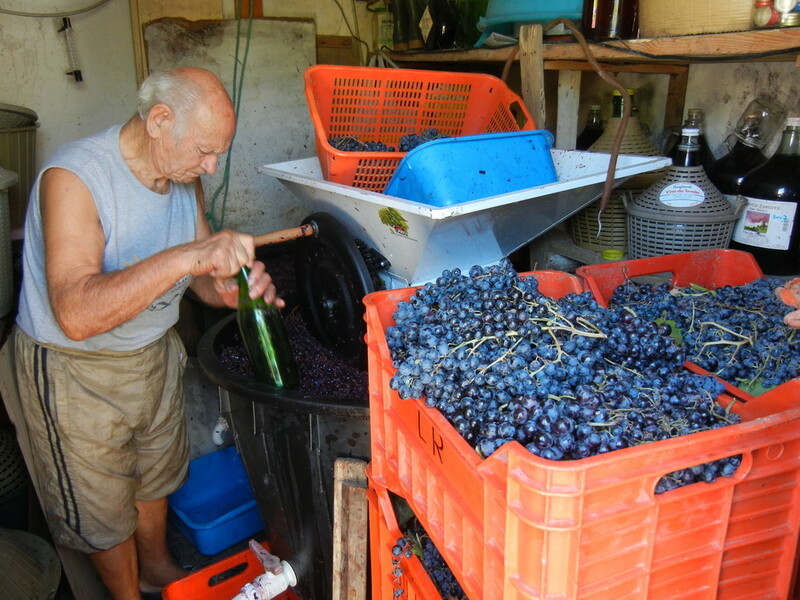 The grape picked was the ancient, indigenous varietal Pallegrello. The other ancient, indigenous varietal found on their land is Casavecchia. We were an intimate group in the fields but a large one at the table. The weather was beautiful, and the Italian conversation and laughter that followed were music to my ears. I took the work seriously and tried my best to keep pace with the others. As with the Albano family (Giovanni and Sparta), it felt really good to be included by the Lombardis. I was introduced to Paola Riccio of the Alepa winery (www.alepa.it) by Franco Pepe. Alepa is situated just outside of Caiazzo. 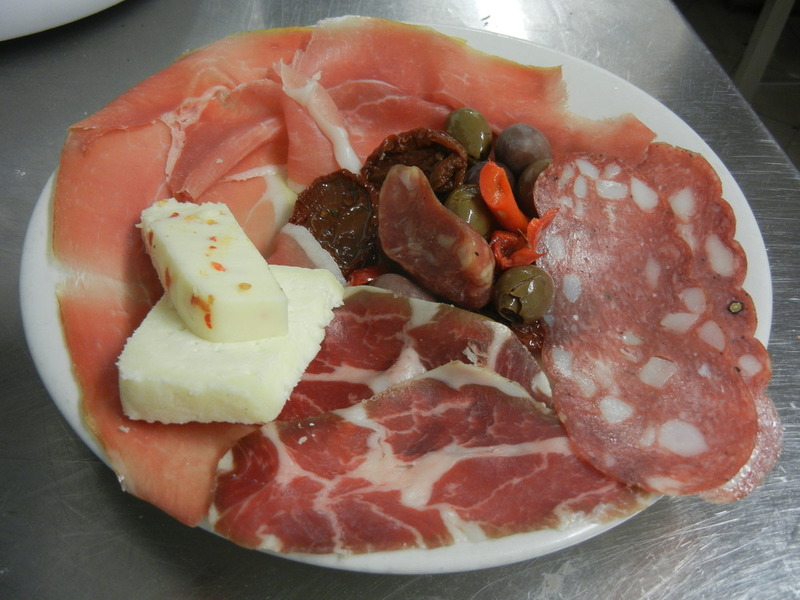 The variety and quality of food produced in this area is amazing: Olives, wine, pears, apples, chestnuts, mozzarella di bufala, conciato romano, salumi and prosciutto from the flavorful Maiale Nero Casertano (black pig of Caserta). No wonder this region of Caserta was once considered the breadbasket of the Roman legions. These producers are a proud lot. 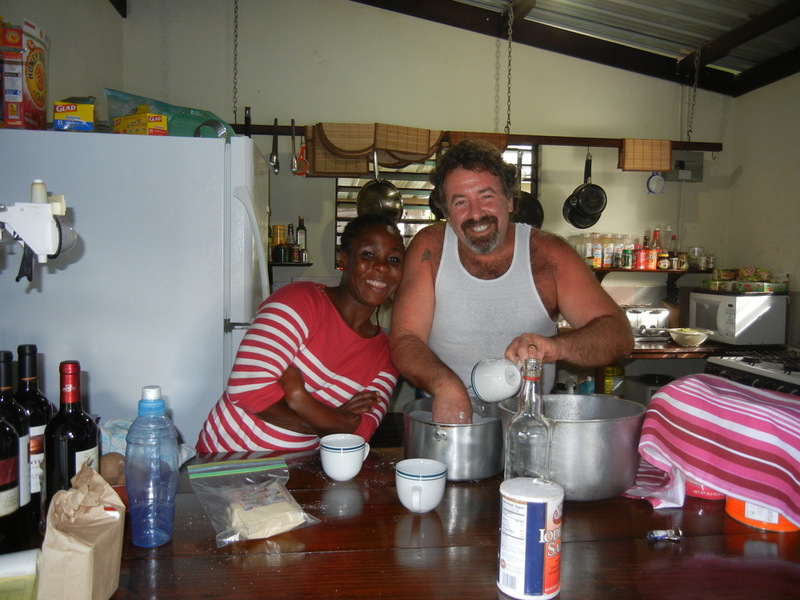 I was warmly greeted by Paola and invited to share in her harvest the following day. Paola is quite passionate about her wine and continuing the tradition begun by her father in 1986. As with Le Campestre, the ancient varietal Pallegrello can be found on her land. Following the grape’s resurgence after it was almost extinct, Paola planted vines at the winery. Along with a falanghina/greco blend and an aglianico/cabernet sauvignon blend, I think Paola is most proud of her Maria Carolina. This particular wine pays homage to Maria Carolina, wife of Fedinando lV of Borbone, King of the Two Sicilies. This is, according to Paola, a 100% white pallegrello wine that has been refined first in 500 liter oak barrels, followed by six months in bottles.It is a complicated affair, demanding heartfelt dedication and knowledge. Though each vendemmia is unique in its own right, they share the same respect for the grape, its history and its harvested potential. I am back home and enjoying the daily rhythm of the pizzeria, along with various community events. I cooked for Zucchero and his band when they performed recently in Chicago, and heard them the next week in New York where I also spent time with Roberto Caporuscio of Keste. 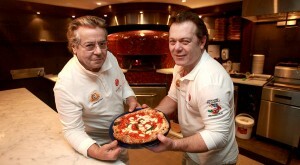 Roberto will be opening a new pizzeria on West 55th street in Manhattan with Antonio Starita of Napoli. I trust that “Don Antonio” will quickly be considered one of the greatest pizzerias in America! Should you be in New York, go to Emilio Ballato’s on Houston Street. Their linguine con vongole (clams) is so out of this world, I ate it twice in three days. On my second visit I began with trippa con marinara, and then the vongole. The tripe antipasto was nostalgic for me. My usual first stop in Florence has always been an early visit (6 A.M.) to the mercato centrale for a panino with trippa con salsa verde and a short glass of red wine. Emilio is from Sarno, the heart of the San Marzano region east of Naples. Here is an incredible New York Times review of the restaurant, 10/25/11. I apologize for the long letter, kind of. In part as a result of this trip, in the near future, we will present a new reserve wine list showcasing wines that are true expressions of a commitment to history, territory and culture. They are the result of the passion of a farmer/winemaker dedicated to resurrecting nearly extinct grape varietals and bringing to the world expressions of theterroir and culture of 1000 years ago. Some of these wines have reputations that are mythical and legendary. I had the good fortune to enjoy these wines on my travels to Italy, and I am committed to searching for and offering them to my customers.